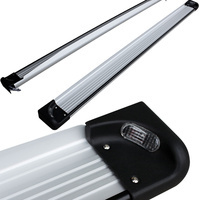 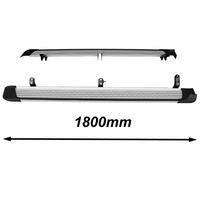 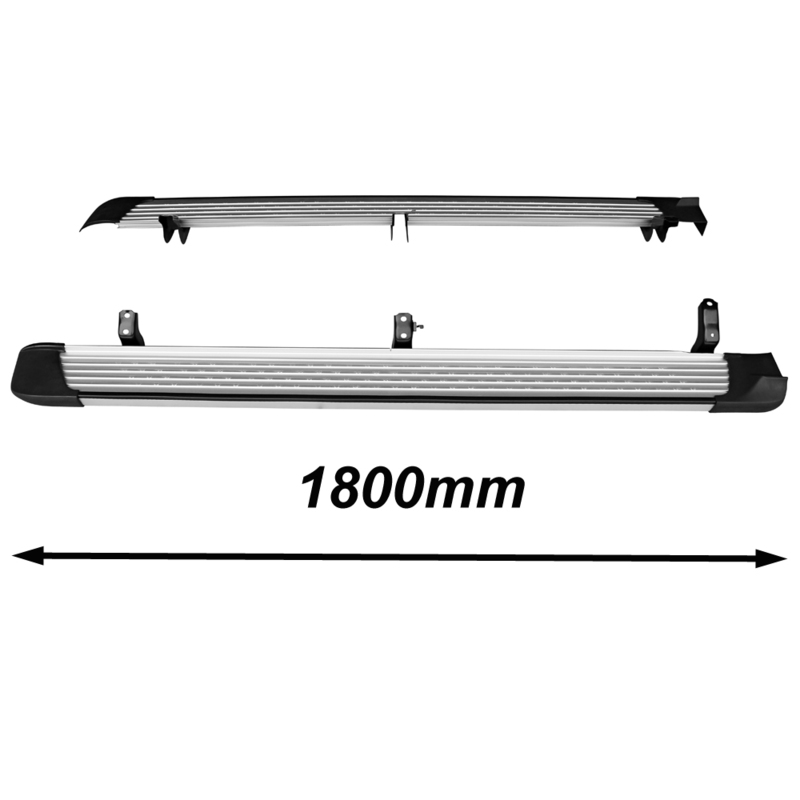 Size: 1800mm (L) x 140mm (W) x 50mm (H). 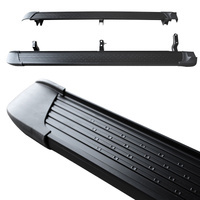 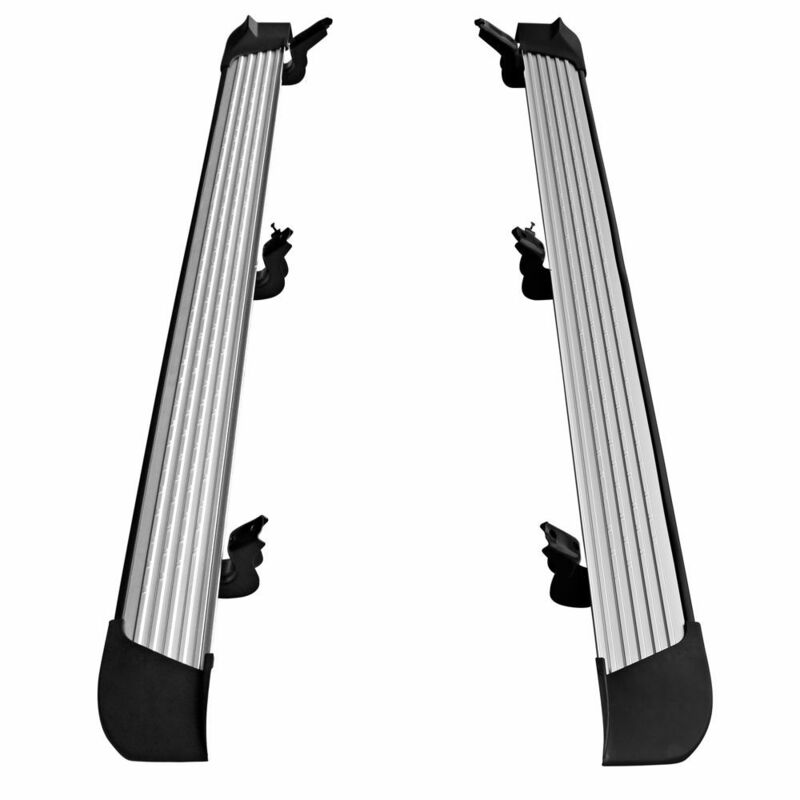 Material: Aluminium tread, ABS plastic end caps, Steel mounting brackets. 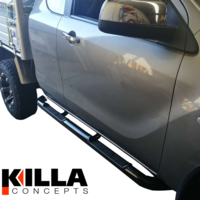 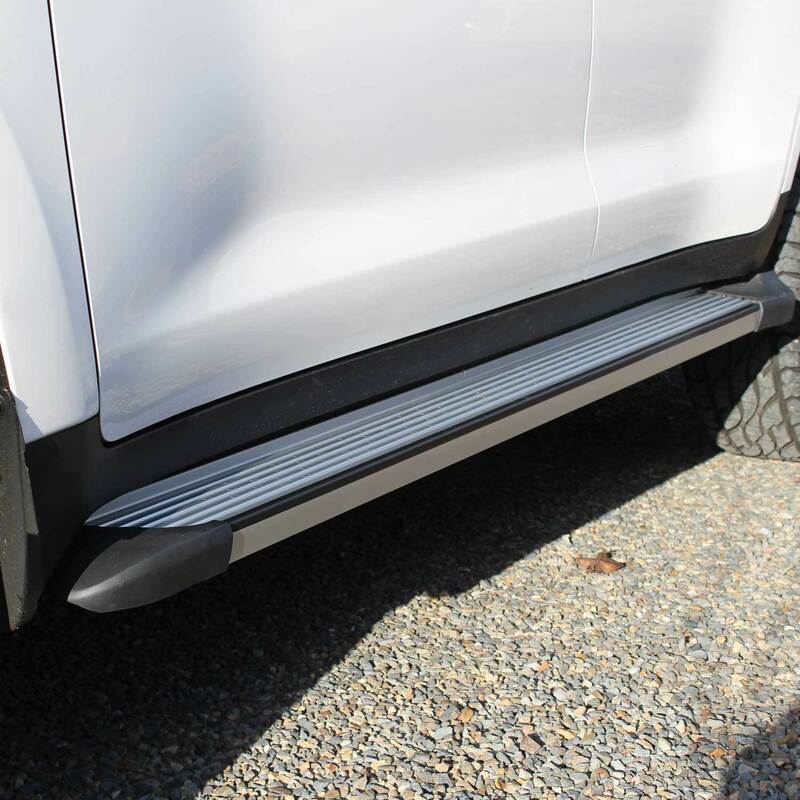 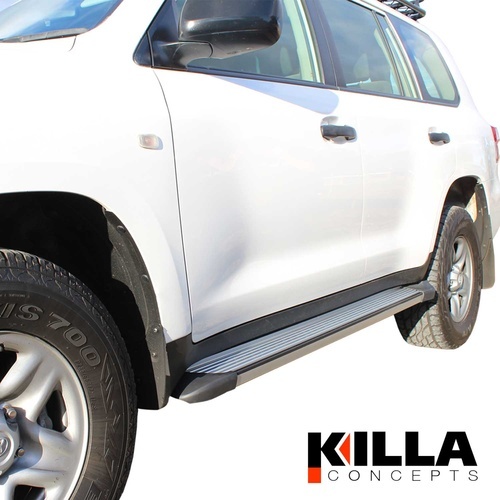 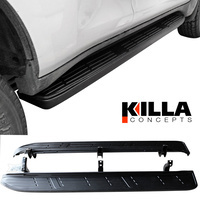 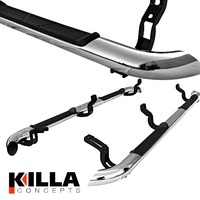 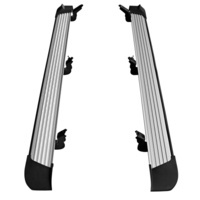 This pair of Killa Side Steps are the perfect accessory for your 200 Series LandCruiser. 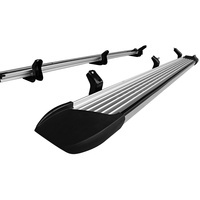 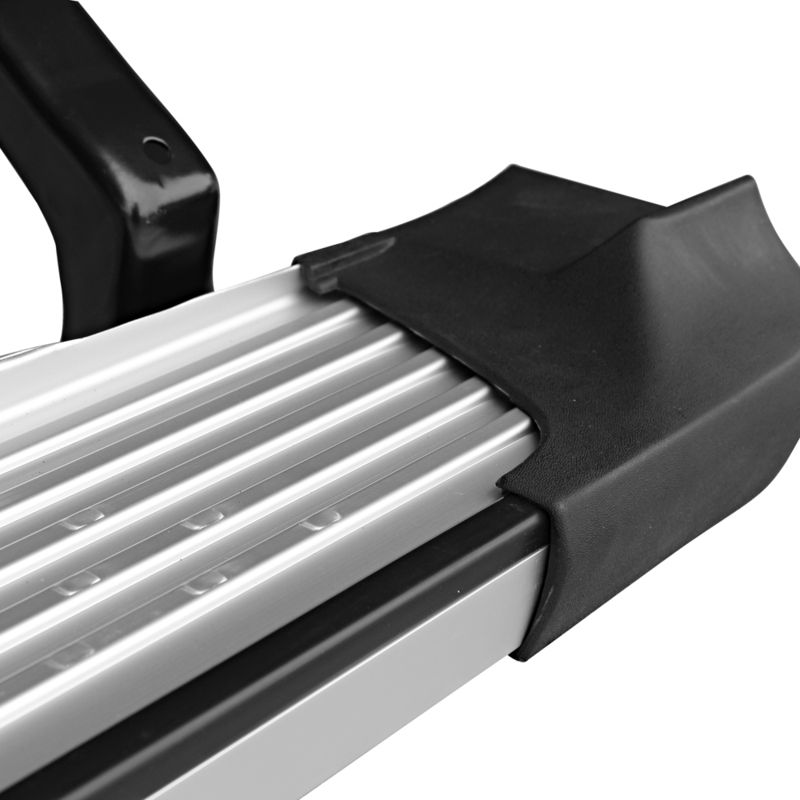 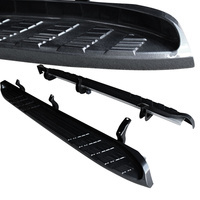 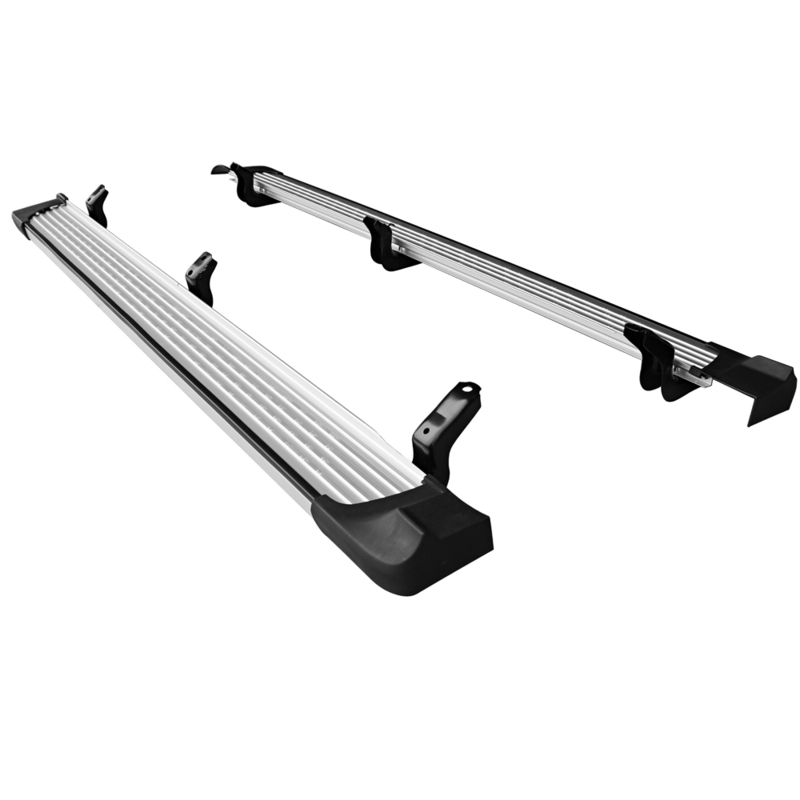 It suits all 200 Series vehicles and is the perfect way to dress up your new GX or replaced damaged steps. With a generous step area, you and the kids will be safe while hopping in and out of the car. 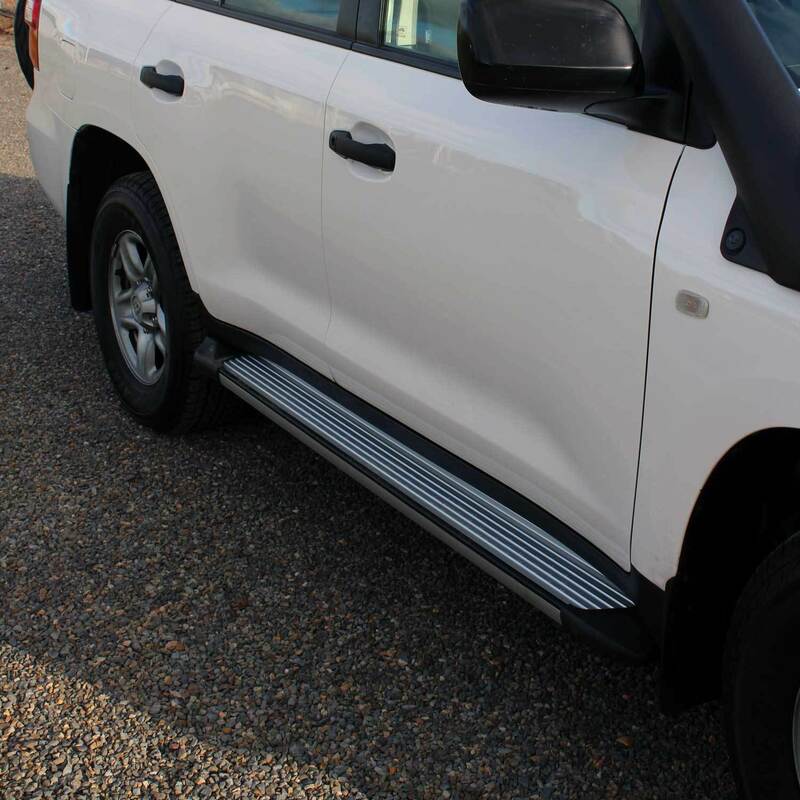 The treads also forms a great design feature and the silverfinish looks fantastic on any colour vehicle. 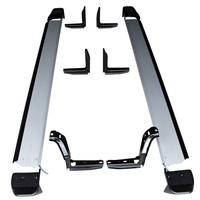 The set of two steps also comes complete with all mounting brackets and hardware plus simple instructions for easy and safe installation. 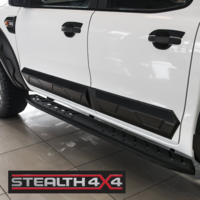 Steel brackets and sub frame for maximum strength. 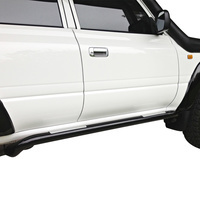 Black and silver aluminium finish looks great on any colour vehicle.